Did the Founders Build Better or Worse Than They Knew? In this post I'd like to discuss some examples from Michael Licona's book Why Are There Differences in the Gospels? concerning Plutarch. These examples are supposed to be part of a cumulative case for the widespread existence in ancient putatively historical literature of "compositional devices" that permitted the author invisibly to change various factual matters for literary reasons such as to increase smoothness of presentation or to make a point of some kind. Licona begins with Plutarch and then repeatedly argues that these devices were accepted in the culture of the day and that the identification of the gospels as in a meaningful sense the same genre as Plutarch's Lives permits us to infer that the gospel authors are using these same devices when there are differences among gospel accounts. This argument has many different levels to it, including the inference that the gospel authors would have been as inclined as Plutarch might have been to alter the truth, which is questionable in itself. 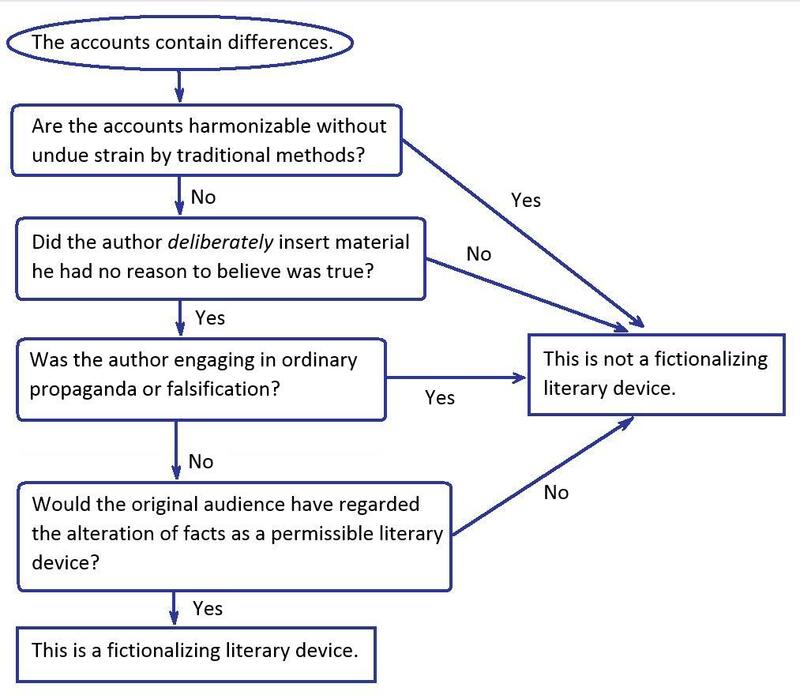 But I question the inference at every point, and in this post I want to show how dubious the complex hypothesis about socially accepted fictionalizing literary devices is even in Plutarch. Other possibilities are repeatedly being left out, and wooden reading is far too common. I have included one example from Tacitus as well. 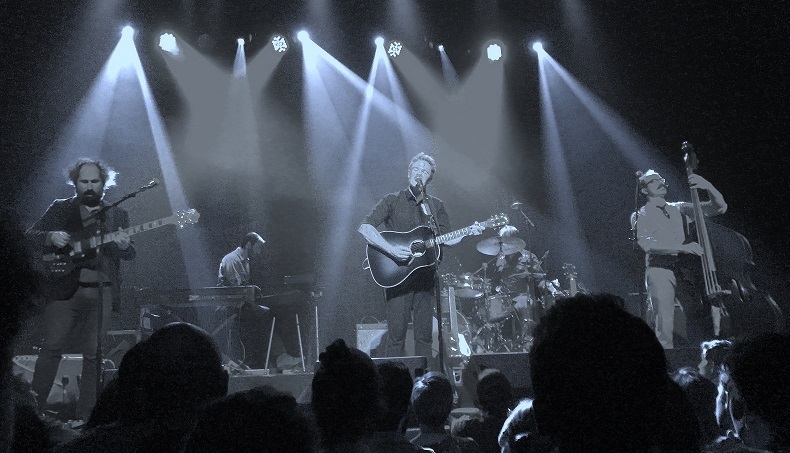 Last night Josh Ritter and his excellent band came out at Variety Playhouse in east Atlanta and played a hell of a show. My brother and I had a great time. As a performer, Ritter possesses contagious warmth; from the moment he brought his beaming smile on stage and gave us a few chords, he had us. Stand-up bass and slide guitar, somebody’s kids off stage, plus several songs in barbershop quartet style — one mic and everyone surrounding — overall the concert surpassed in quality and variety. Very well done, Josh. Lyrically, Ritter is about as good as anyone not named Dylan or Cohen or Cash. His latest album, Gathering, with its fine Southern feel, includes a classic in the GFY tradition: “Cry Softly,” a rockabilly number “Oh Lord, Pt. 3” and the magnificent braggadocio tune “Showboat.” He played all three in Atlanta, to vigorous effect. Highlighting the show, “Homecoming” and “Getting Ready to Get Down,” rocked the place. The latter song features a charming blend of infidelity and joy: seems like what we might call a brilliant PG-13 tune. Showing proper disdain for the character of our national politics, Ritter declined to make any statement along those lines, though he introduced one song this way, “This is a song about a — [long pause] This is a song.” Hearty laughter. But what suffuses Ritter’s great musical art is a great love of our great country, despite her greatly embarrassing aspects. It’s become hard to really make money from quality of recorded musical arrangement. Digital businesses have destroyed the ability to ask a small fee on every song purchased and listened to. Creative destruction, I guess. But I’d say it’s worth buying a ticket and seeing your favorite bands live, since it’s from that purchase whence their income arises. Josh Ritter is one of my favs. The dude puts on a show. My 40 bucks were more than well spent. If he’s coming to your town, I can pretty well guarantee that he and his band will play you a memorable concert. Your money will be well spent. Or: being stamped with an Image. Every now and then you come across someone whose clarity of insight and presentation is truly outstanding, positively gifted. Fr. Lankeit, on “gay marriage,’ is just that sort. You really need to see and hear it. If you have ever struggled in discussing “gay marriage” with others, this 16 minute analysis will help you. If you have sometimes stumbled in saying what you meant, so that you made something confused that isn’t really confused, or opened yourself for attacks that you didn’t need to do, Fr. Lankeit’s presentation might help avoid that. He is crystal clear, in a simple and easy to follow analysis, which is also well formed and stated in terms of not saying more than what is necessary. An interesting little debate has flared up in the Claremont Review of Books and continued online between a group of academics who make the case that the Founding laid the seeds of liberal disorder and what might be considered America’s turn to libertinism (think the sexual revolution, abortion on demand, gay “rights” and so-called gay “marriage”, the push for transgender “rights”, etc.) The other group of academics, led by Robert Reilly, argue that the Founders built better than they knew and that the Constitution draws on natural law ideas perfectly compatible with traditional and conservative policies – the question for America was whether its leaders and citizens would be wise enough to implement such ideas. This blog post explores this debate.